We're looking for candidates who fit our mission, vision, and culture. 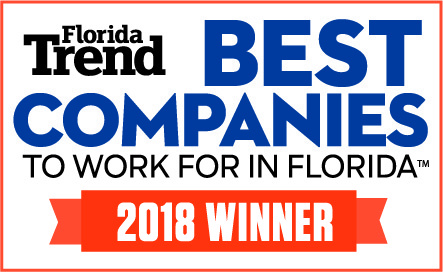 As a “Top Workplace” award winner for 9 consecutive years, Bouchard strives to maintain an organizational structure that inspires industry top talent as well as promotes insurance as a career path for future generations. We believe a healthy work-life balance is a critical part of being a happy employee. We support our employees in finding that balance by offering flexible work hours and telecommuting options. We also offer a PTO plan that encourages team members to take time off and come back refreshed. We know Client First starts from the inside out! Hey, we're an insurance agency... did you think we wouldn't offer an awesome benefits package? Of course, we offer the standard package of medical, dental, and vision coverage. We also offer staff bonus plans, 401K, wellness program, sales & service incentive trips, insurance education, insurance exam prep, leadership training, and a really cool environment to grow your career. We take communication very seriously. We have quarterly meetings led by our CEO to keep you informed on all things Bouchard. Our training team keeps us up-to-date on the newest system updates and upgrades. To be an engaged and productive member of the team, you have to be informed. We believe having opportunities to engage with team members in other departments is an important part of our "One Company, One Team" mission. Our Be Well committee plans wellness activities throughout the year. The 5K committee? They plan an annual race that raises thousands of dollars for a local charity. And we can't forget the Be Involved committee that ensures we all have opportunities to use that community service day. Hear our team answer the question, Why Bouchard? Learn more about our company culture and why we're named a Top Workplace year after year. Ready to join the team? Check out our openings below.